Today is National Bike to Work Day. Leave that car at home, tune up that bicycle and pedal to work today. Everyone is encouraged to share the road and get some exercise and cut back on the use of fossil fuels. Riding a bike can be great fun. Consider biking over to your favorite restaurant, pub or brewery for a pint after work. Although consider having someone pick you and your bike up and take you home if you do. Here's what's happening around the Colorado beerosphere today Friday, May 17th, 2013. Celebrate American Craft Beer Week - May 13-19 - Final 3 Days! Arvada Beer Co (Arvada) - ABC now has a Traditional Bock on tap. This is the beer that they brewed up as part of one of their brew classes. It's a 9% ABV 28 IBU Bock. Due to the limited supply, no growler fills of this beer will be made. Falling Rock Tap House (Denver) - Sour Heads! Tonight, May 17th at 5:30pm, Falling Rock will be hosting "Night of the Sours". They'll pull out some great sour beers for ACBW including: Russian River Supplication, Russian River Sanctification, Russian River Consecration, Bruery Sour in the Rye, Dry Dock Ambassador, Jolly Pumpkin Oro de Calabaza and more. Then on Saturday, May 18th starting at 5:30pm it's "Night of the Barrel"! Barrel aged beers will be the nights focus with tappings like: Bruery White Oak, Deschustes Abyss (2010), Deschutes Black Butte XXIII (2011), Deschutes Stoic (2011), Dogfish Head Palo Santo, Lost Abbey Angel’s Share (2011??? ), North Coast Old Rasputin XV, Odell Bourbon Barrell Stout (2012), Port Older Viscosity (2011). Hit one or both nights! Great Divide Brewing (Denver) - Today at noon Great Divide will put up a special beer in their tap room. Stop in for a taste of their Peach Grand Cru! And once that limited beer is gone they'll put up another surprise pilot beer, but you'll have to be there to find out what it will be! Hops & Pie (Denver) - Plan to stop in at Hops & Pie on Friday June 7th for a special Firkin 1st Friday tapping of Stone Brewing Company's Stone Ruination IPA Cask. The cask will be filled with Amarillo & Chinook Hops to boost the IBU rating on this beer to close to a gazillion! It taps at 6pm on June 7th. Don't miss this treat! Yak & Yeti (Arvada) - Today Yak & Yeti is tapping a Belgian Peach Whiskey Ale. It started out as a Belgian Blonde and was aged for several months in a Leopold Brothers Peach Whiskey barrel. This is one you'll want to try. Crooked Stave Artisan Beer Project (Denver) - Sour fans will want to get to Crooked Stave early for the 12 noon ROY-G-BIV Day celebration. 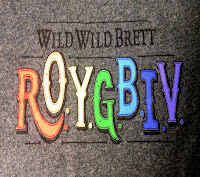 They will debut the new Wild Wild Brett Violet - the last in the "rainbow" color releases in their Wild Wild Brett Series. There will be a limit of 6 375ml bottles per person. Then starting at 1pm they will open up limited pours of each of the other W.W.B. 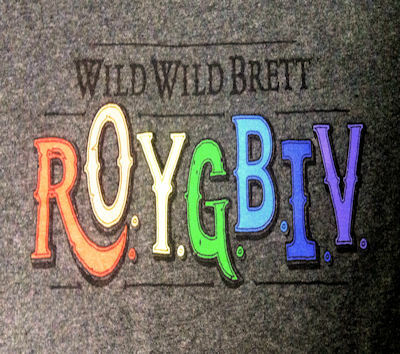 colors - Red, Orange, Yellow, Green, Blue, and Indigo. Other brews like St. Bretta and Hop savant will also be on tap that day. Remember, get there early! Big Choice Brewing (Broomfield) - Come by today as Big Choice will be tapping one keg of their Rail Slide Extra Pale Ale that's double dry-hopped with Amarillo! It's a hop worth seeking out. Elk Mountain Brewing (Parker) - Today at 4pm Elk Mountain Brewing will tap their Whiskey Barrel Stout. Then on Saturday, 5/18 everyone is invited to join them in the back of the brewery to help brew a firkin that will be tapped on a later date. RSVP on their Facebook event sign up. Then stick around on Saturday for live music with your beer from Warren Floyd starting at 7pm. Left Hand Brewing (Longmont) - This Saturday, May 18th from 5pm to 10pm is the first of three scheduled Summer Jam Concert Series performances at Left Hand Brewing. This Saturday, there will be 3 bands: Whitewater Ramble, Bonnie & The Clydes & Grant Farm. The concert starts at 5pm and runs til 10pm. 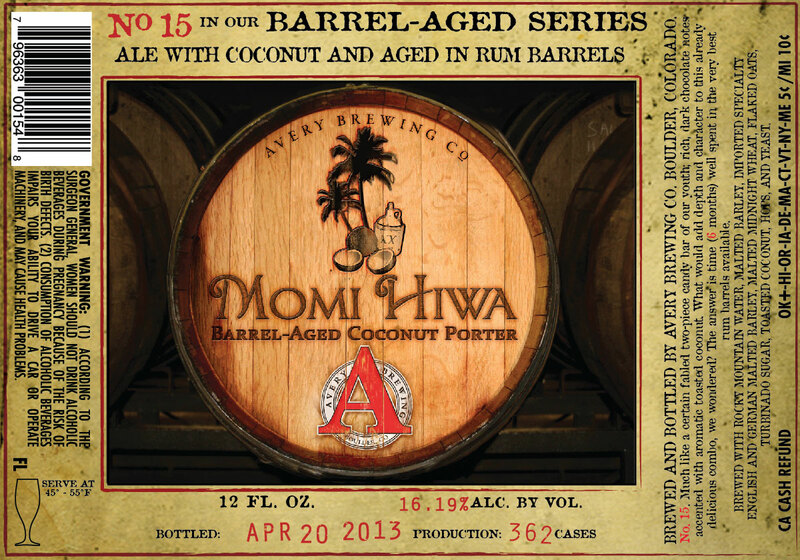 Tickets are $15 and are available at Left Hand Brewing - 1265 Boston Avenue in Longmont, CO.
Avery Brewing (Boulder) - The 15th beer in their Barrel-Aged Series has been announced and this one will remind you of a Mounds candy bar. It's called "Momi Hiwa Barrel-Aged Coconut Porter". It's described as: "No. 15 Much like a certain fabled two-piece candy bar of our youth, rich, dark chocolate notes accented with aromatic toasted coconut. What would ad depth and character to this already delicious combo, we wondered? The answer is time (6 months) well spent in the very best rum barrels available." - This barrel-aged coconut porter was bottled on April 20th, 2013 and had only 362 cases produced. This big beer weighs in at an incredible 16.19% ABV. Stay tuned for a release date and availability. Also, at 5pm today Avery will release their Red Table Saison in the taproom. Kettle & Stone Brewing Co (Boulder) - Boulder's upcoming brewery is getting very close to brewing their first batch of beer. They just took delivery of their first grain shipment. Brew day won't be too long now. Look for a June 2013 opening at 6880 Winchester Circle in Boulder, CO.
Grimm Brothers Brewhouse (Loveland) - There's a new beer tapping at Grimm Brothers today - "Willow Wren" an Erntebier. 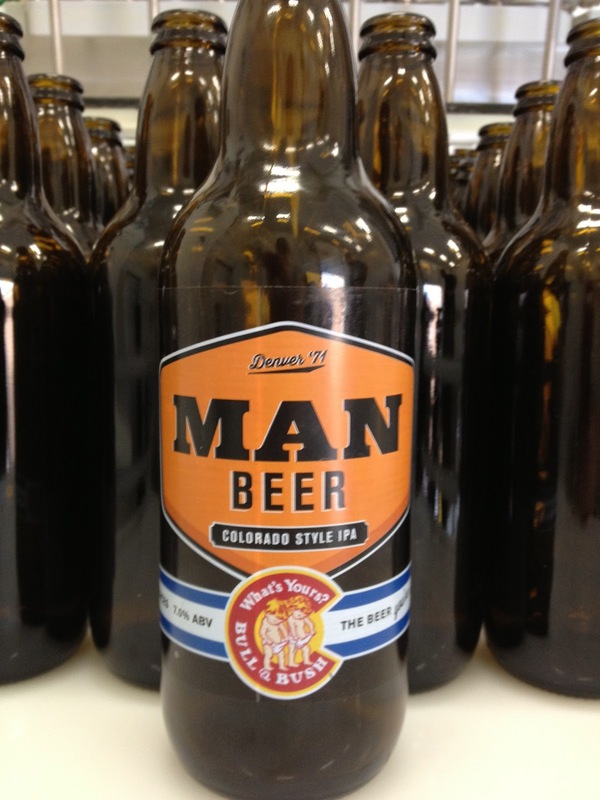 It's a low alcohol "harvest" beer weighing in at 3.9% ABV and 36 IBU. It's designed as an anytime table beer. Willow Wren has a distinct roast flavor with hints of chocolate and toffee. Also, Grimm Brothers will be pouring their Maiden's Kiss Maibock at West Flanders Brewing in Boulder tonight starting at 5pm. The first 20 pints get prizes - plus they are giving away a set of tickets to the Front Range Rally beer and food truck festival in Loveland that takes place on May 18th. Back at the Grimm Bros taproom tonight - live music from Christopher "Snowball" Smith starts at 6pm. City Star Brewing (Berthoud) - The beers keep flowing for American Craft Beer Week. Enjoy a pint while listening to live music from Stave Manshel (veteran of Firefall) starting at 6:30pm. Front Range Rally (Loveland) - One day left to get tickets for tomorrow's Front Range Rally beer & food truck festival at the Loveland Food Bank - 2600 N. Lincoln in Loveland, CO. 110 beers from 34 breweries, food trucks and 2 live bands from 3pm to 7pm. Visit www.frontrangerally.org for tickets. KUNC Craft Beer Week Series (Greeley) - KUNC Radio (91.5 FM) closes out their week-long series on American Craft Beer Week today with a segment on the Art of Beer Labels. Check out the article and you can also listen to the recorded report via a link on their page. Interviews with members from Crooked Stave, Bull & Bush Brewery & Pub and CAUTION: Brewing Company were featured. New Belgium (Ft. Collins) - New Belgium has come up with 4 short TV spots promoting their Fat Tire Amber Ale. You can find all four of them on YouTube. We'll preview one of them below. The others can be found at: 1-here, 2-here, 3-here, and 4-here. Verboten Brewing (Loveland) - A new tapping for American Craft Beer Week! Stop in today for a taste of "Good Day to You" - a salted Caramel Chocolate Porter. It taps promptly at 3:00pm. This one will only be around for a short while and won't be made that often. City Star Brewing (Berthoud) - Today between 5pm and 9pm, City Star Brewing will be the featured brewery at The Welsh Rabbit Cheese Shop in Ft. Collins during their Beer and Cheese pairing. City Star owners John and Whitney will be attending too. Rocky Mountain Brewery (Colorado Springs) - According to the Boston Globe, Rocky Mountain Brewery will be one of two breweries that will be creating a special beer in honor of the fallen MIT police officer who died allegedly at the hands of the Boston Marathon bombers. This beer will be called "Collier Stout". The beer will cost $5.50 and $1 from each sale will go towards a memorial fund in memory of Sean Collier. 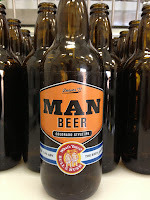 This beer will be made in a limited run, around 2,000 pints. Trinity Brewing (Colorado Springs) - There will be a Barrel room open house tonight at Trinity starting at 5:00pm. Check out their newly built barrel room and barrel tables. They will supply the hors 'doeuvres and some special tastings directly from the barrels. Steamworks Brewing (Durango) - The Original Joint Effort and 18th Annual Faceplant Ale Tapping Party is next Friday May 24th. Things kick off with the now infamous Unofficial bike regalia From Ska Brewing to Steamworks Brewing - meet out at Ska at 5pm or join up with the gang at the Durango Cyclery for an in-town "working stiffs" rally point around 5:30pm. Russell will host a skidding contest and Steamworks will tap the Faceplant Ale when the crew works their way to the brewpub. All those that participate will get a free commemorative glass and a free beer as well as a chance to win a ton of goodies including a chance at a sweet cruiser. Dj Ras Daws and Raplhsta will provide the hot licks. Ska Brewing (Durango) - Celebrating American Craft Beer Week at Right Coast Pizza in Wheat Ridge, CO with a special beer tapping today at 6:00pm! A cask-conditioned lager- Mexican Logger with Mangos, Lemongrass, Habaneros & El Dorado Hops.